He started to play improvised music in 1995. 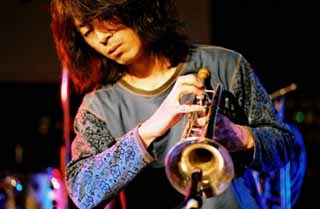 Departing from the traditional playing method, Ezaki has redefined the trumpet as a sound generaton device constructed by metal tubes. He makes maximum use of space to draw out a unique sound.